How to afforest for the future? 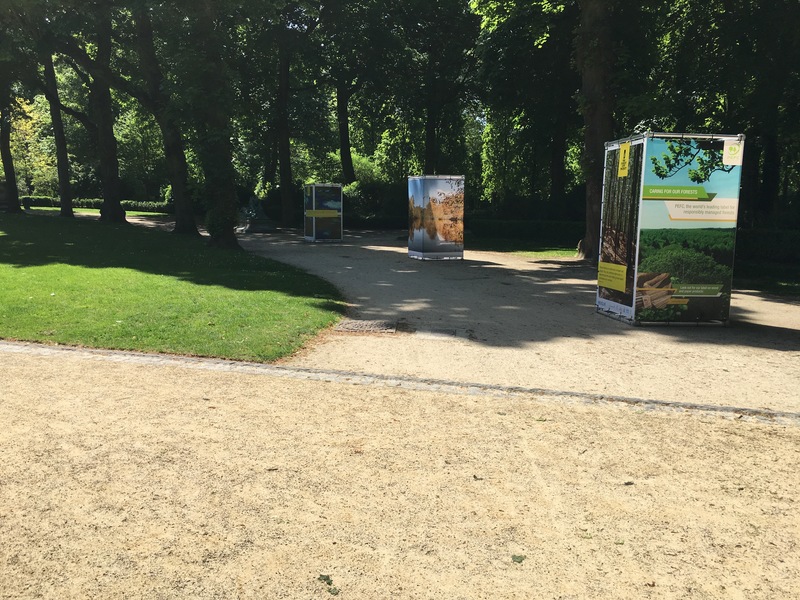 The importance of forests in facing the challenges of climate change and the acknowledgement of the role of carbon sinks, including forests, in the Paris Agreement, urge towards a better understanding on how best to foster afforestation. The Paris Agreement reached at COP21 (UNFCCC) stresses the importance of carbon sinks in view of achieving, among others, a balance between emissions by sources and removals by sinks of greenhouse gases by the second half of this century. 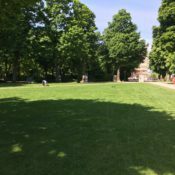 The EU has committed to reducing its domestic greenhouse gas (GHG) emissions by at least 40% by 2030 compared to 1990, including for the first time Land Use, Land-Use Change and Forestry (LULUCF). 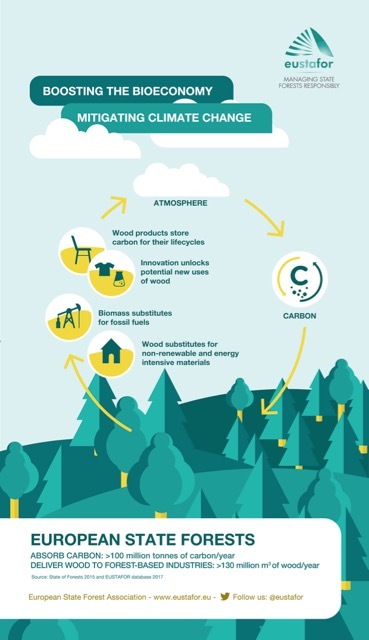 The EU LULUCF sector has been contributing to climate mitigation not only by removing carbon dioxide from the atmosphere but also by providing bio-materials that can store carbon and replace fossil raw materials. 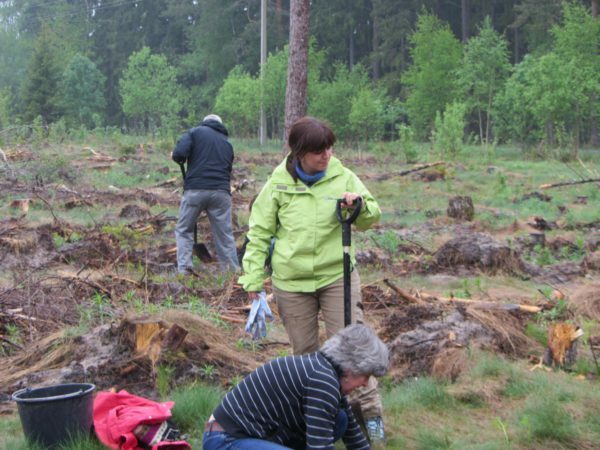 While the contribution of the forest sector to climate mitigation and adaptation, bioenergy, bio-based economy, prevention of floods and desertification has been well acknowledged, the level of afforestation in the EU during the last decades has been decreasing. 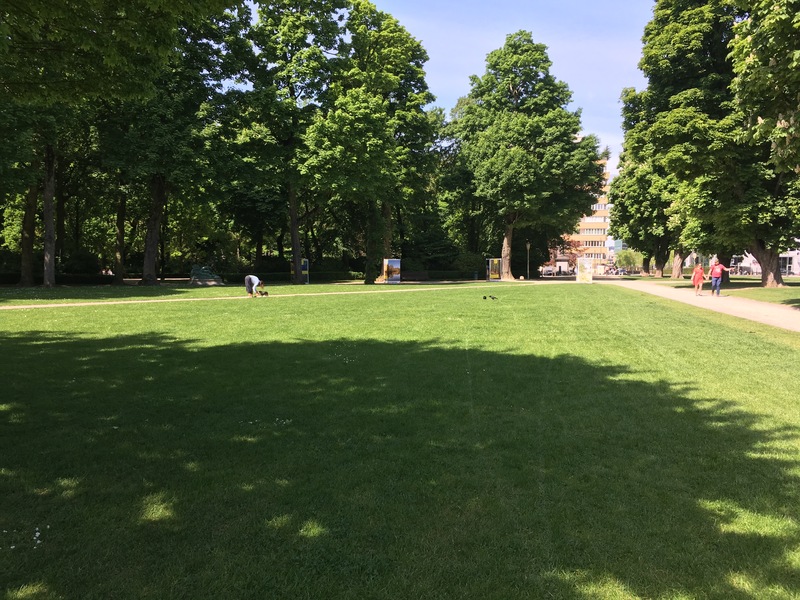 Whereas about one million hectares of agricultural land were afforested in the EU 15 during the period 1994–1999, approximately 700 thousand hectares between 2000 and 2007. The recently closed rural development (RD) programs for the period 2007-2013 contributed an additional 300 thousand hectares of forest in the EU 27 by the end 2015. 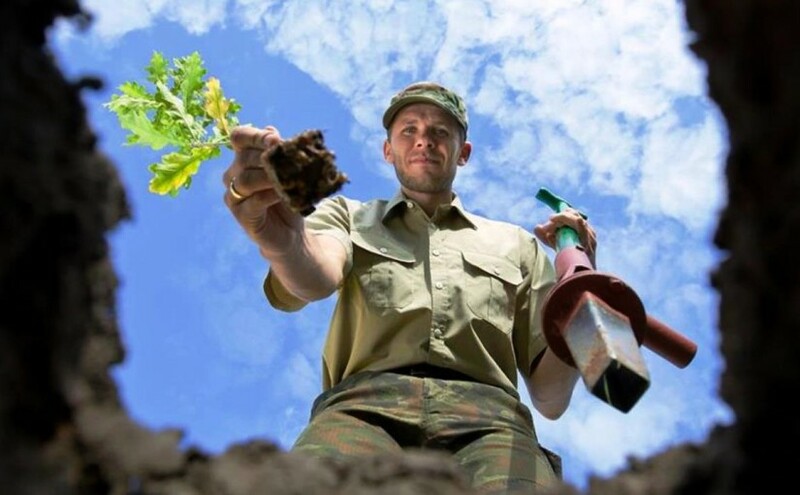 The new allocation in the RD programs for 2014-2020 for the 28 Member States foresees approximately 510 thousand hectares of new afforestation. Practical implications; how should species or provenances selection be guided in the coming years? The presentations and other relevant documents are available from this page. 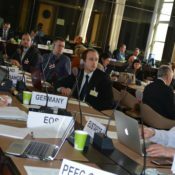 The Joint Working Party took place from 29-31 March 2017 at the Palais des Nations, Geneva, Switzerland. 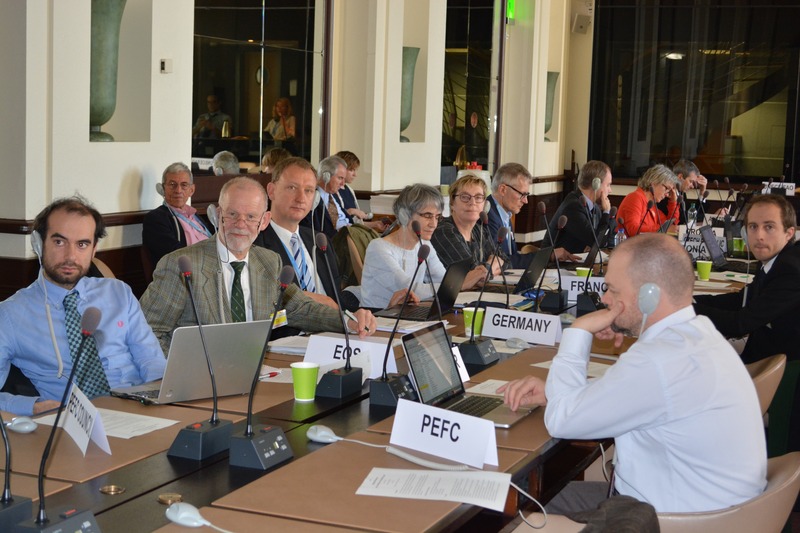 The Working Party is a subsidiary body set up under the auspices of the UNECE Committee on Forests and Forest Industries (COFFI) and FAO European Forestry Commission) that discusses activities undertaken by the Joint Section and provides guidance on future activities. 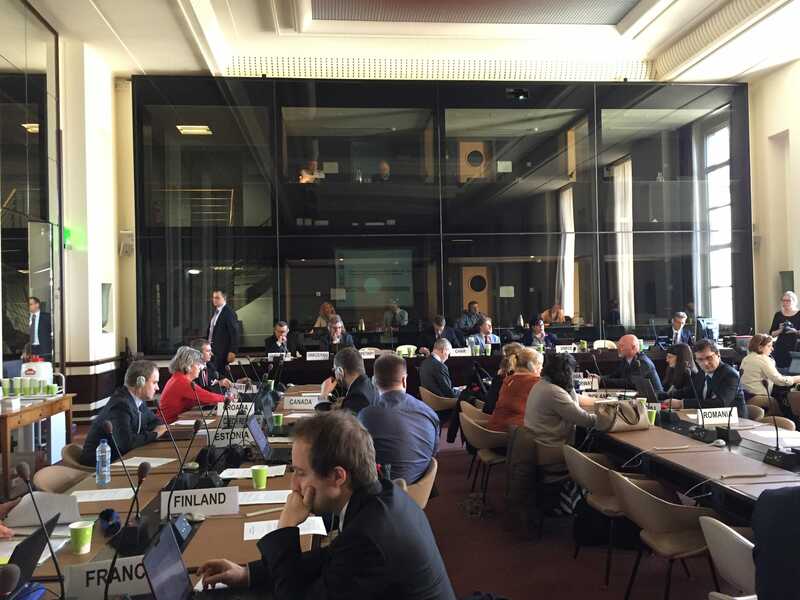 Prior to the working party session, three Teams of Specialists meetings, Sustainable Forest Products, Forest Products Statistics and Forest Policy, took place in parallel on 28 March 2017. 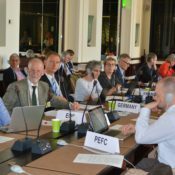 Roland Kautz (Austria/ÖBf) and Piotr Borkowski, Executive Director, participated in the 3rd Meeting of the ToS on Forest Policy. Substantial discussions took place on the mandate, objectives, future role and functioning of this group. 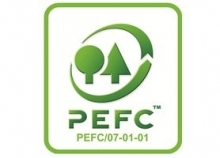 PEFC invites to comment on the revised Standard Setting standard – PEFC ST 1001:201X. This standard sets the rules for national standard development and revision. Core principles of the standard development are stakeholder engagement, balanced representation of different interests, consensus building, continuous improvement and transparency. The new joint Position Paper “Sustainably managed forests are a proven source of sustainable biomass for bioenergy” by EUSTAFOR, CEPF, COPA and COGECA, UEF, FECOF, and USSE presents the perspectives of forest owners, managers and professionals about sustainability sourcing biomass in relation to the European Commission Proposal on the promotion of the use of energy from renewable sources (RED recast). President Juncker’s Commission aims to create better regulation, reduce redtape and focus efforts on ensuring effective implementation. With these principles in mind, the recast of the Renewable Energy Directive aims to promote the use of energy from renewable resources and decarbonize the EU. The proposal recognizes the role of Sustainable Forest Management and it suggests using a risk-based approach that builds on existing legislation and tools to assess the sustainability of forest biomass, where requirements related to forest management, LULUCF accounting and GHG emission savings are identified. 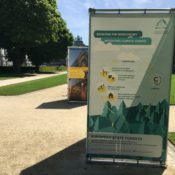 European forest owners, managers and professionals are concerned that the proposed sustainability system for forest biomass risks becoming an impediment to reaching the EU targets to decarbonize the energy sector and might also hinder the possibility of delivering biomass to the market. 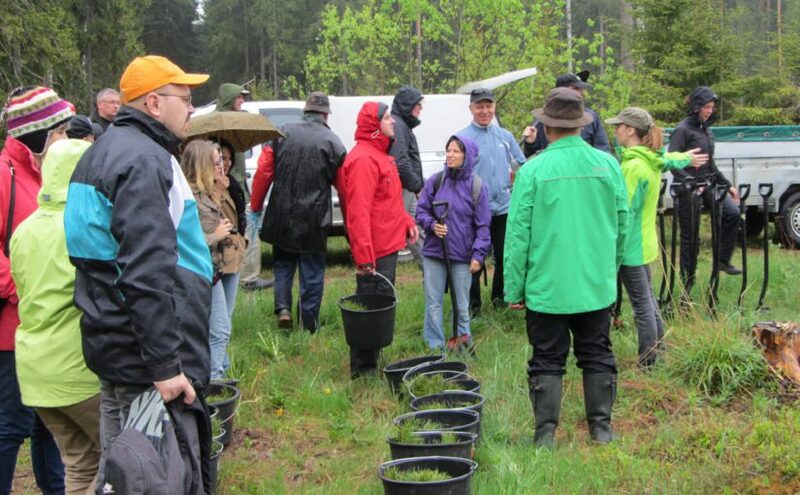 Forest owners, managers and professionals invite the EU policy and decision makers to first look at the implementation of existing European and national policies and regulations, which ensure the sustainability of forest biomass sourcing, before taking any action on developing a new regulatory framework with additional, unnecessary burdens. 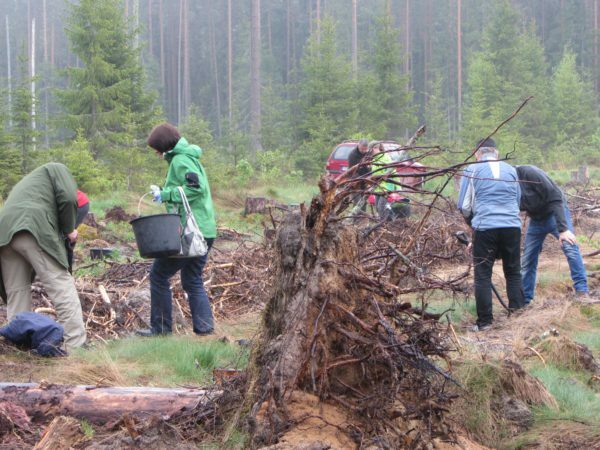 While recognizing that the proposal acknowledges the existing legislation on forests and forest management at EU and Member State levels, forest owners, managers and professionals strongly consider that interference of the new framework on already-existing legislation and tools should be avoided. If for any reason, such as the necessity to ensure the sustainability of imported biomass, the determination towards regulating the sustainability of forest biomass in the EU bioenergy policy post-2020 continues, a modified risk-based approach is an option if already-existing requirements in the EU and national legislations are taken into account and there is no duplication or unnecessary regulatory burdens. The Commission proposal on the inclusion of land use, land use change and forestry into the EU 2030 Climate and Energy Framework (LULUCF) is currently under discussion at the Parliament. The Committee on Environment, Public Health and Food Safety is a leading Committee and MEP Norbert Lins (DE/EPP) was nominated as Rapporteur. 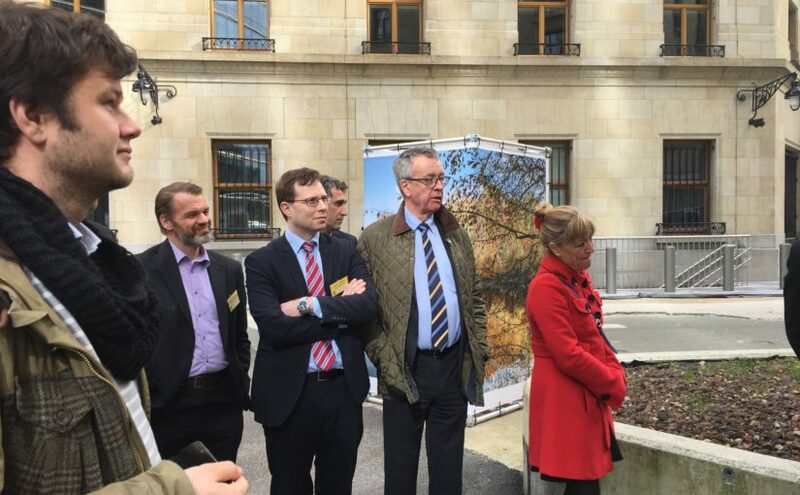 On 4 May 2017, EUSTAFOR, CEPF, CEPI and CEi-Bois have distributed a joint letter to MEPs with comments to the draft rapporteur report in order to highlight the importance of reconsider the Commission criteria for establishing the forest reference levels by bearing in mind the potential long-term benefits from sustainably managed forests and harvested wood products. A similar letter has been distributed to Members of the Council. The final voting in the COM ENVI about the Amendments to the Commission Proposal will take place on 22 June 2017. 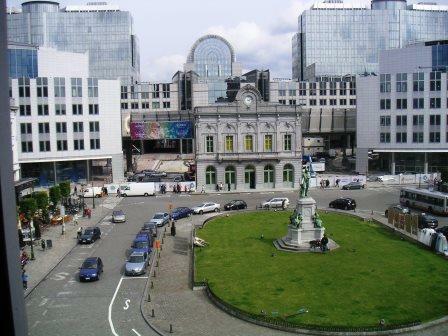 By that time, Industry, Research and Energy (ITRE) and Agricolture and Rural Development (AGRI) Committees will give their Opinions (the vote on the amendments to rapporteur MEP Marisa Matias (PT/GUE-NGL) for the ITRE Committee will take place on 30 May 2017). 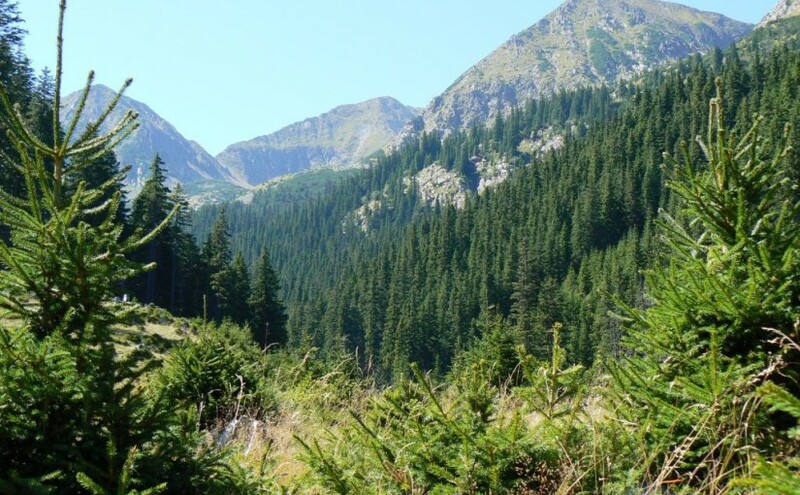 In a letter it is stated that Ministers from Czech Republic, Slovak Republic, Lithuania, Bulgaria, Romania, Latvia, Austria, Slovenia, Croatia, and Finland “believe that forest reference levels should not be bound by the past intensity of forest management practice. The letter asks for more recognition of the role of forestry for climate change mitigation. 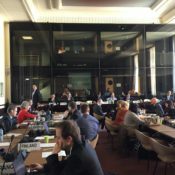 In a non-paper by Belgium, Denmark, Germany, Italy, Luxemburg, the Netherlands, Portugal, and the United Kingdom it is stated that the forest reference levels of Member States must be based on historic and verifiable data – i.e. the continuation of documented forest management practice in a meaningful reference period combined with the anticipated forest structure in the future compliance period. 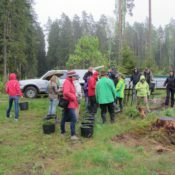 Juha Mäkinen has been appointed as Communication Director of the European State Forest Association (EUSTAFOR) starting 10 April 2017 for a period of three years. 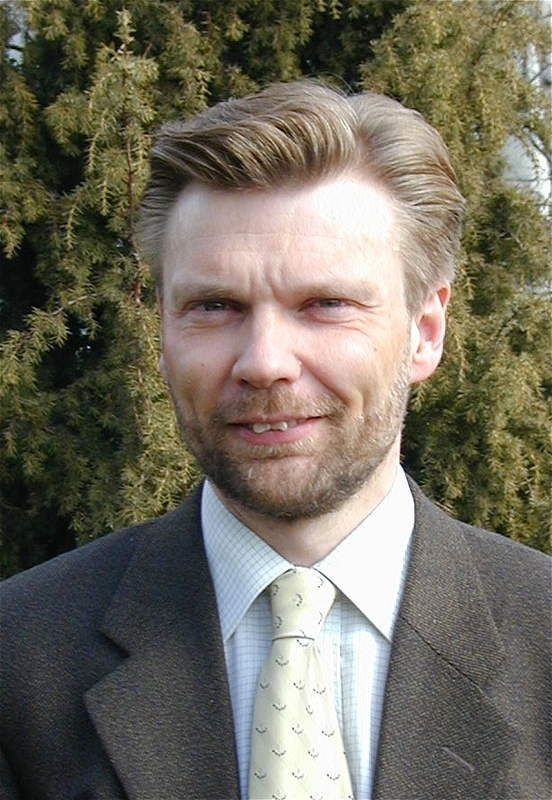 Mr. Mäkinen currently works as Communication Director at the Finnish State Forest Enterprise, Metsähallitus. He has also chaired the EUSTAFOR Communicators Network since 2014. 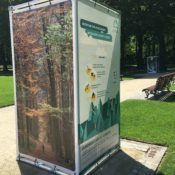 The European State Forest Association (EUSTAFOR) represents state forest companies, enterprises and agencies that have sustainable forest management and sustainable wood production as major concerns. The Association currently has 33 members in 22 European countries. 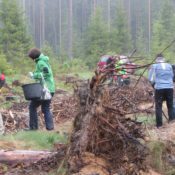 EUSTAFOR members manage around one third of the EU forest area. 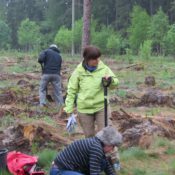 The total harvest of EUSTAFOR members is over 130 million m3 of round timber per annum and together they employ more than 100 000 individuals. Any statement in this document is to be considered as a reflection of the best available knowledge and professional expertise and does not necessarily reflect the political commitments of individual member organizations. 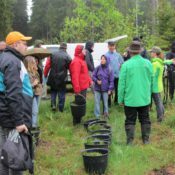 In 2017, the Eustafor Conference is being hosted by the National Forest Administration – Romsilva. You can download the invitation by Mr Dragos Ciprian Pahontu from this page. Final programme and registration are available at this link. 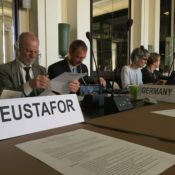 The latest EUSTAFOR Executive Committee Meeting was held on 20 March 2017 at the European Forestry House in Brussels. The ExCom was pleased to accept the Northern Ireland Forest Service as a new “Associated Member of Category B” as of 1 January 2017. 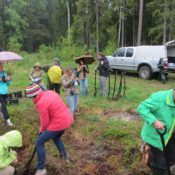 EUSTAFOR now has 33 members from 22 countries. The main work of the ExCom was the approval of the documents for the GA to take place the following day and a broad review of current developments in Brussels, especially concerning the finalization of the joint position paper, referred to as the “RED Recast JPP,” in partnership with CEPF, Copa & Cogeca, FECOF, USSE and UEF and the apparently favorable reception by policy makers of EUSTAFOR’s second position paper in which the internal WG on Climate Change elaborated a list of amendments to the Commission’s proposal on EU climate change policy post-2020, including LULUCF. Metsähallitus made a proposal for the secondment of Juha Mäkinen, Communication Director in Metsähallitus, to EUSTAFOR. The ExCom confirmed their support, in principle, of the idea to reinforce the Brussels Office advocacy and communications staff. An Associate from Sveaskog, Sara Osth, will join the team for 6 months as of 1 September 2017. Ciprian Pahonţu and Octavian Anghel (ROMSILVA) updated the ExCom concerning the upcoming European State Forest Conference in Poiana Braşov. The minutes and further information are available at this link. 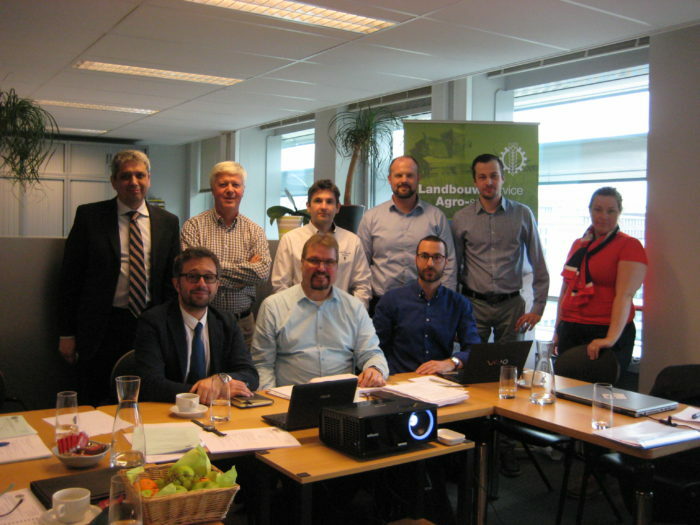 The Stakeholder workshop on “Circular economy and bio-economy – synergies and challenges” was organized by the European Environmental Agency (EEA) on 30-31 March 2017, in Copenhagen, Denmark. 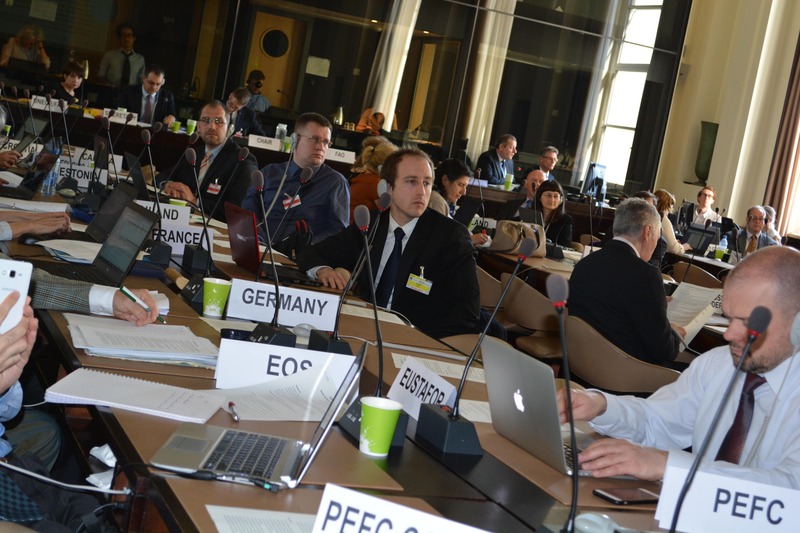 State forests were represented by Salvatore Martire (EUSTAFOR Executive Office) and Martin Lindell (Sveaskog, Sweden). 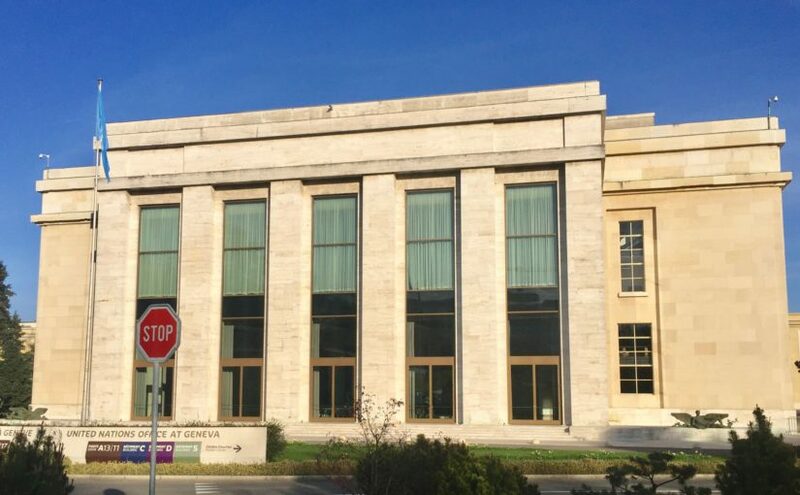 The objectives of the workshop were to examine the relations between the circular economy and bioeconomy, take stock of the current situation, including EU level policies, identify possible synergies and challenges on the basis of case studies, gather ideas and input for the EEA’s report on the bio- and circular economies. It was a good opportunity to get an overview of the wide spectrum of stakeholders interested in the field while, at the same time, learn about concrete examples and innovations in various fields of the bio- and circular economies. The workshop focused mainly on future opportunities and challenges than on actual policy developments. 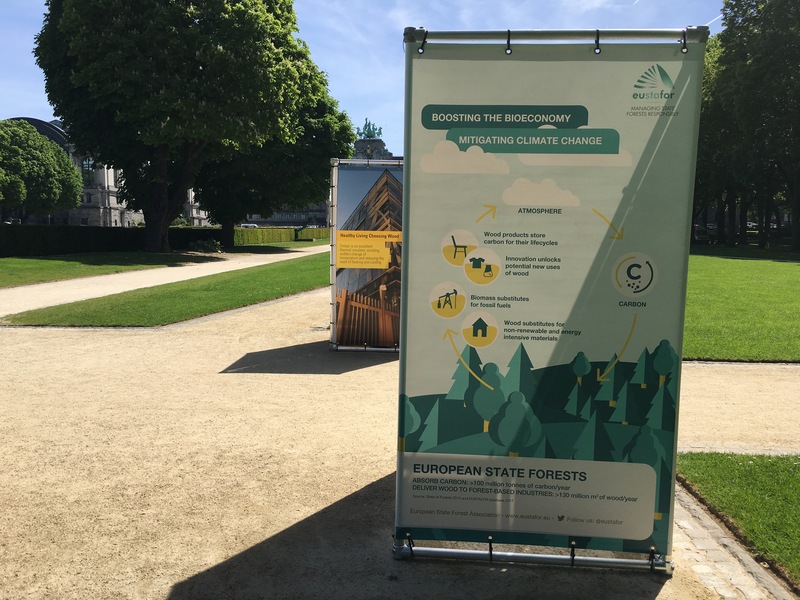 However, this provided an opportunity to highlight EUSTAFOR’s perspective and vision as regards the key role of forestry in the bioeconomy, as well as how forests and forestry can contribute to a circular economy. The meeting was also an opportunity to further foster networking and cooperation with Commission representatives and stakeholders. 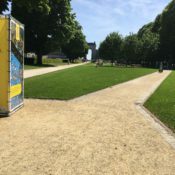 which will take place in the area of Aix-en-Provence, in the South of France. 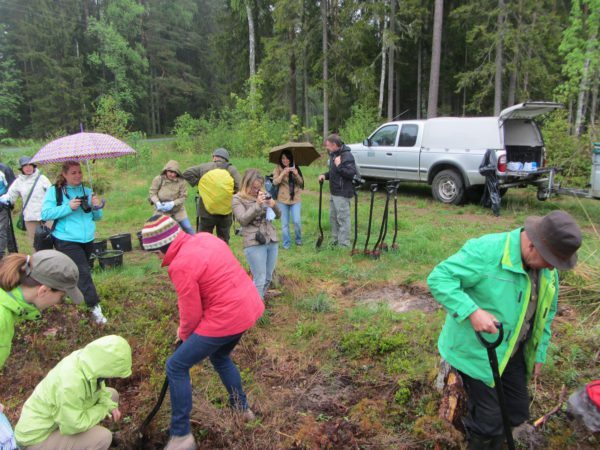 The seminar on “Forest Fires, a growing risk due to Climate Change” will include a field trip and conference with speakers from EUSTAFOR, French research centers and Canada. All documents and most updated information can be downloaded from this page. A follow-up of the seminar is available at this page. Should you have any questions, please don’t hesitate to contact Pauline Camus (pauline.camus@onf.fr – TEL +33 (0)1 40 19 58 79). 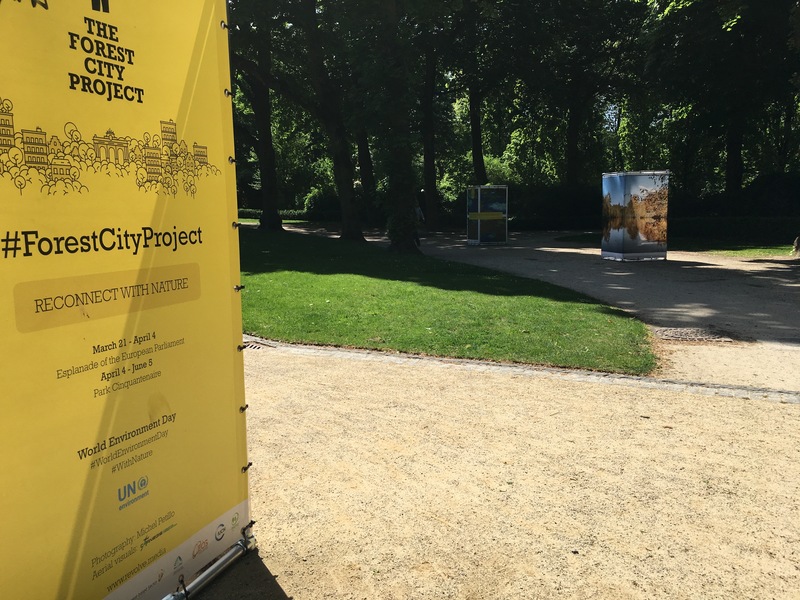 #ForestCityProject 2017 is a public information campaign and exhibition launched on the International Day of Forests (21 March 2017) and to be displayed in the European Quarter through 5 June 2017 (World Environment Day). 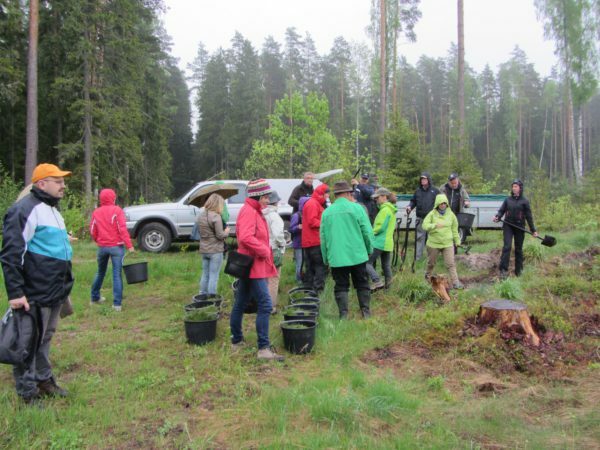 EUSTAFOR is a strategic partner of this project, organized together with Revolve Media, the European Organization of the Sawmill Industry (EOS), the Programme for the Endorsement of Forest Certification (PEFC) and the Forest-based Sector Technology Platform (FTP). 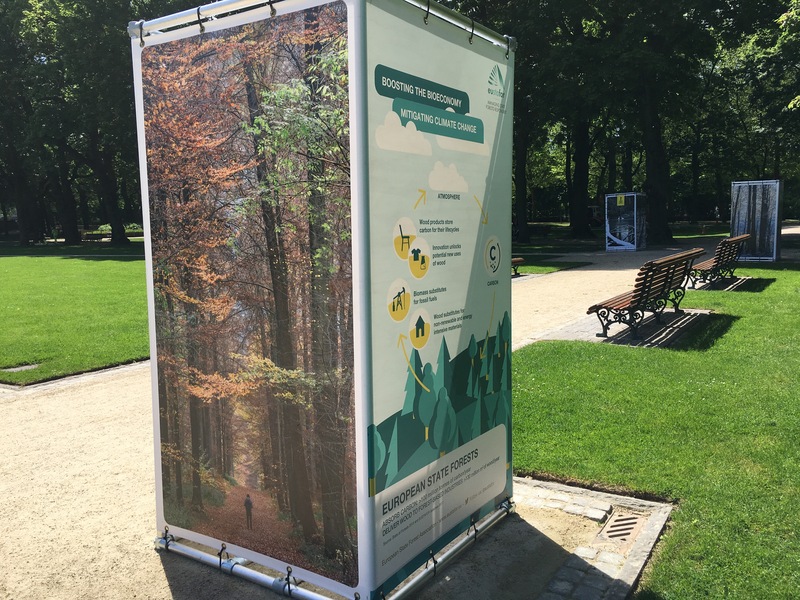 The initiative provides an excellent opportunity to show how forests and their products contribute not only to our daily lives, but how they are also helping society to face global challenges such as climate change and the need for more sustainable production and consumption patterns. 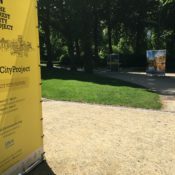 Materials from the event The Value of Wood Forum in the context of the Forest City Project that was held in Brussels on the International Day of Forests (21 March 2017) are available below. 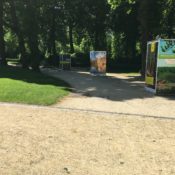 15:00 Opening speech Mr. Simon Kay, Senior Expert, Land Use and Finance for innovation, DG CLIMA, contextualizing LULUCF legislation within forest-based solutions for the bio-economy and jobs. The Standing Committee on Forestry of the European Organisation of Agricultural, Rural and Forestry Contractors (CEETTAR) was held last 29 March 2017. CETTAR, established in 1961, represents about 150 000 companies and nearly 600 000 workers. 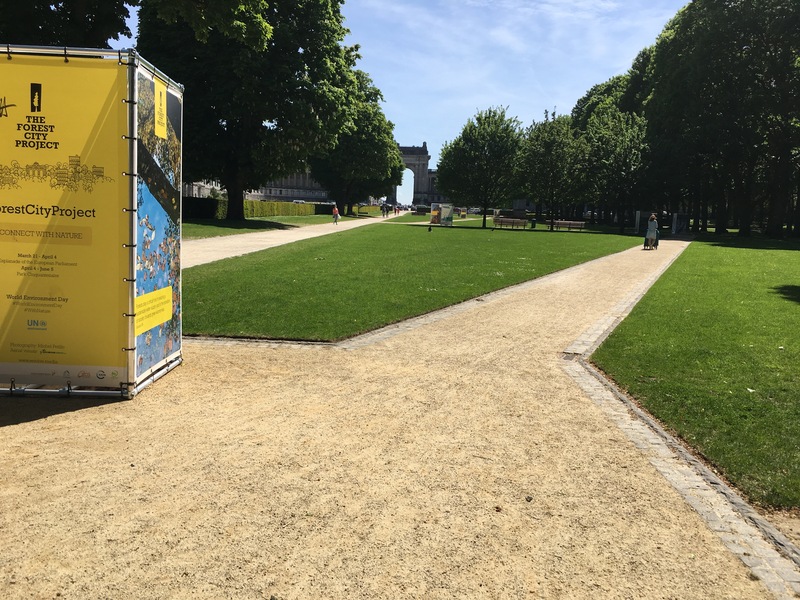 It aims to represent the interests of land-based contractors in Europe. 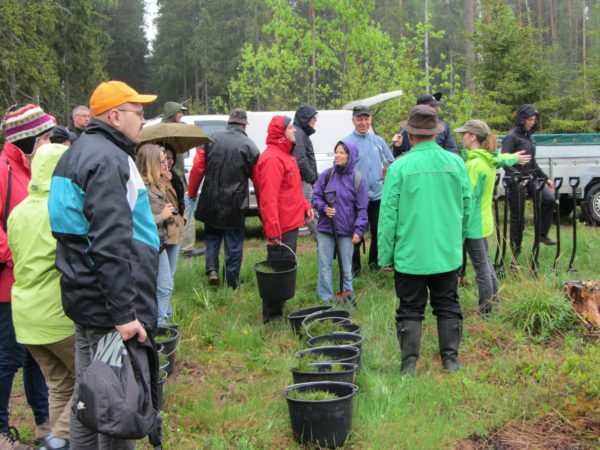 In 2014, the European Network of Forestry Entrepreneurs (ENFE ) decided to merge with CEETTAR, resulting in a stronger organization representing all land-based contractors at EU level. Salvatore Martire, from the Executive Office, gave a presentation about EUSTAFOR and its positions on current policy developments with a focus on EU climate and energy policy. The presentation provoked an interesting exchange of views on EUSTAFOR’s positions on the LULUCF Directive and the Renewable Energy Directive (recast) , which were welcomed by CEETTAR representatives. 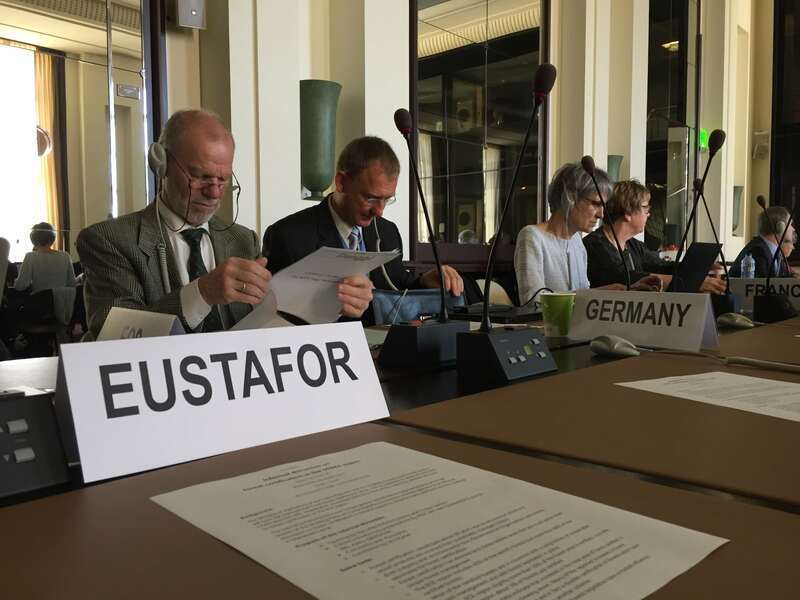 Consequently, EUSTAFOR was invited to cooperate more closely with CETTAR in future.